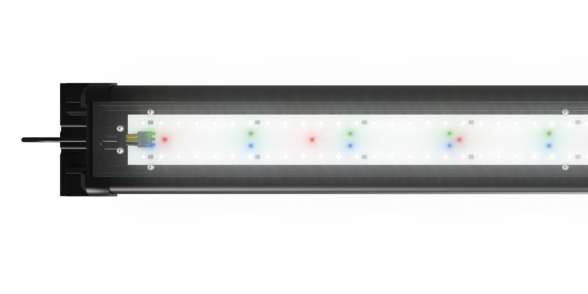 The HeliaLux Spectrum is a high-performance LED light unit with a full spectrum. 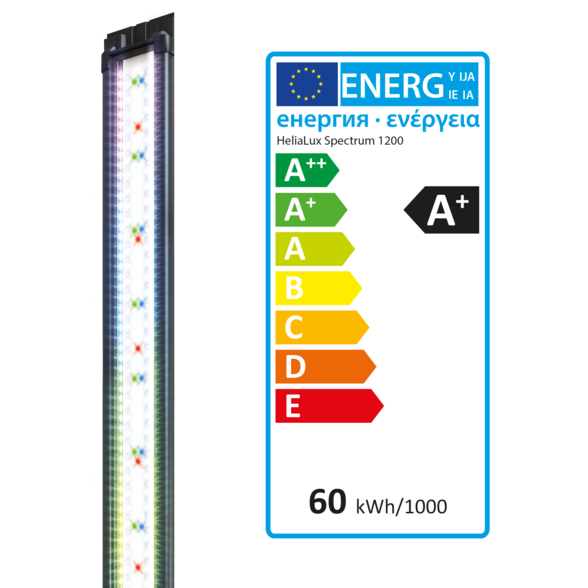 The state-of-the-art, specially developed SMD LEDs guarantee maximum light yield for optimum plant growth while simultaneously realising energy savings of around 50%. White LEDs illuminate your aquarium brilliantly, while red, blue and green LEDs create intense colours and maximum contrast in your underwater world. 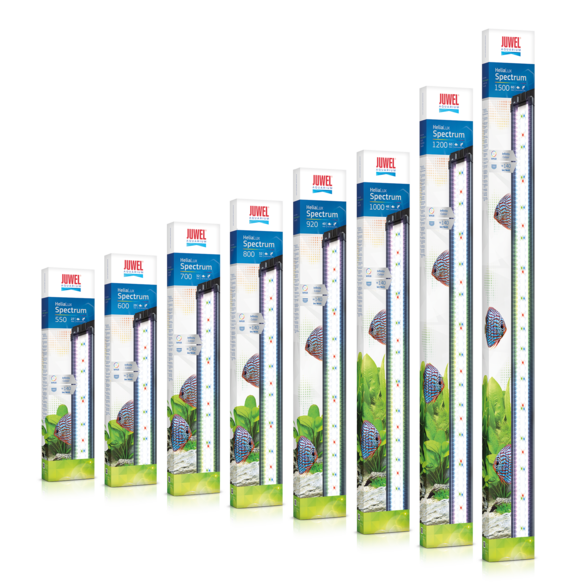 The perfectly coordinated colour range promotes the vitality of your fish and ensures optimum plant growth. There are no limits to the design or control when LEDs are used in conjunction with the HeliaLux SmartControl. 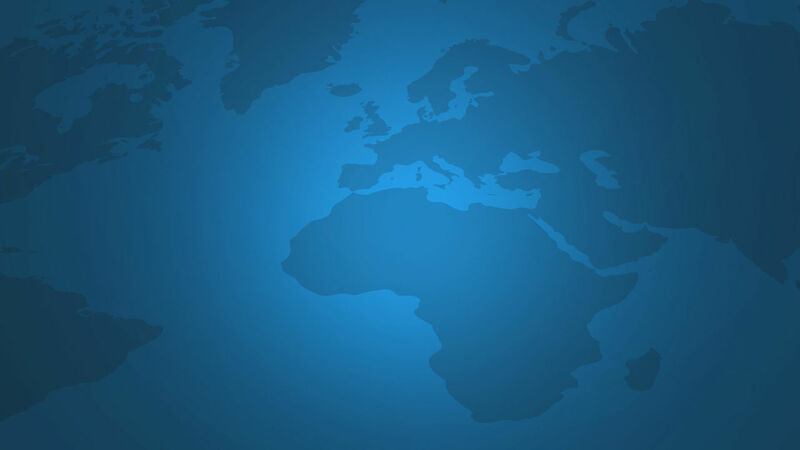 The HeliaLux Spectrum can only be controlled in conjunction with the HeliaLux SmartControl. The combination of white 9000 K and 6500 K LEDs ensures ideal plant growth in your JUWEL aquarium. Special red, green and blue LEDs have been employed in the HeliaLux Spectrum to create intense colours and maximum contrast. Specially developed aluminium honeycombs guarantee optimum heat dissipation to ensure that you'll get the most out of the SMD-LEDs for a long time to come. Scratch-resistant safety glass has been used to ensure that you will get the most out of your HeliaLux Spectrum light unit for a long time to come. Suitable for all JUWEL aquariums with a permanently installed top frame. Such as RIO, LIDO, VISION and TRIGON. HeliaLux UniversalFit also allows the HeliaLux Spectrum to be used on aquariums by other manufacturers. 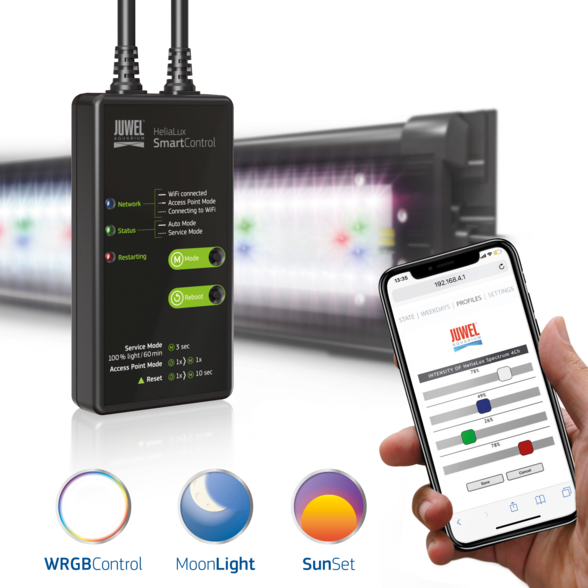 For controlling the HeliaLux light units wirelessly with all WiFi-capable end devices.